* Our services operating within the Hampshire areas - Book Today!! At Kellys Pet Care I offer a range of pet sitting, dog walking and pet transport services to suit your needs, ensuring that your absence does not need to be stressful for you and your pet. 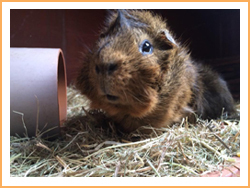 Most pets like to stay in the comfort of their own home whilst their owners are away, feeling safer and more content in their own territory with their usual comforts, which is why I offer an excellent pet sitting service catering for all types of pets. When your away from your pooch, either on holiday or through work commitments, but want to ensure they still get the same level of exercise and social interaction as you give them, my dog walking service is the perfect solution designed to cater to your dogs needs entirely. And should you require transport for those all important vet trips or transportation to the kennels or cattery, our pet taxi service will ensure your journey is stress free for both you and your pet. 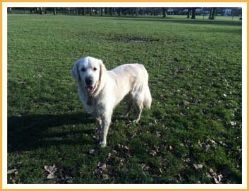 I specialise in offering a service which caters to the needs of both you (the owner) and your pet. Specialising in companion animals including dogs, cats and small animals, should you need a pet sitter, dog walker or pet transport (pet taxi) I have a range of options to suit the needs of you and your pet. With over 10 years experience, I am both equiped and experienced in discussing your options with you and advising you of the best option for both you and your pet, based on your pets needs, temperament and nature should you require. If you feel your pet would benefit from staying in their own home whilst your away, my pet sitting option may be the best service for you. The home visits are suitable for most pets including cats, dogs, rabbits, guinea pigs, and other small animals such as hamsters and gerbils. The home visits are conducted throughout the day, where we will visit your little one in the comfort of their home for feeding, walkies if required (dog owners only), playtime and cuddles, recieving regular attention whilst your away in an environment in which they feel safe and secure. 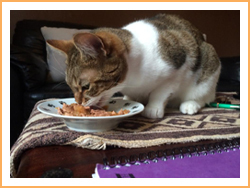 I offer excellent prices on my pet sitting services and can tailor this service to you and your pets requirements. I charge only for the number of required visits regarding the number of pets you have, and a very bespoke service with a very personal touch. I provide a unique bespoke and personalised dog walking service consisting walks with myself and your dog, which is tailored to meet the needs of you and your dog. Your dog will benefit from undivided attention from the myself for the duration of the walk, be able to walk at his speed and ability, be able to socialise with other dogs he meets along the way should he wish, and be able to partake in the games he likes to play, all under undivided supervision at all times. This is of particular benefit if your dog is of a nervous disposition, does not socialise well with other dogs, or has any other issues to which a group walk would not be beneficial for him. 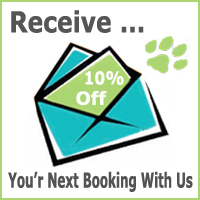 I offer an excellent rate for my dog walks which can be tailored to suit your dogs needs and ability. All walks are conducted in the area in which you live and can be arranged at a day and time to suit you. I operate a pet taxi service within, from and to Hampshire for dogs, cats and small animals. Whether you need a trip to the vet, moving house, or need to transport your pet to another destination, my pet taxi service is the perfect solution. For short vet trips, I will collect you and your pet, take you the vet, wait for you whilst your in your appointment, and return you and your pet home again .... all for a very reasonale set price. Should you need to transport your pet further afield such as to a veterinary hospital, to stay with a friend or another destination, I can offer you the perfect solution with reasonable tailor made prices to suit you and your pets needs.